The village lies between two rivers, the Petre and Moussella and these feed the waterfalls which spill down past tavernas under the shade of the Plane trees. 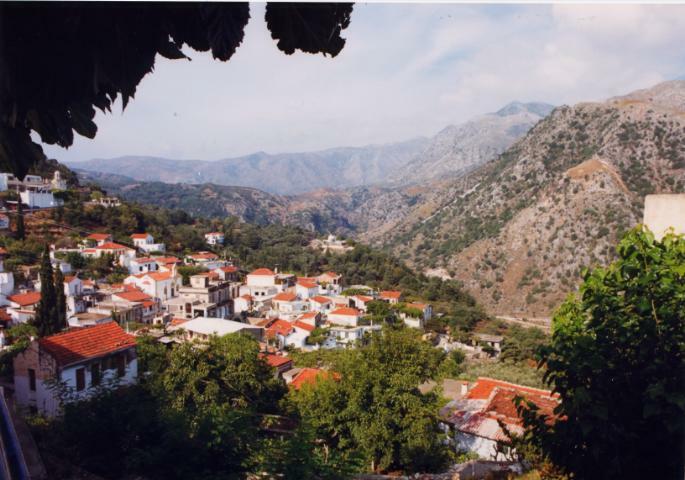 The village is built over the site of the ancient city of Lappa. The village shop selling Avacado based cosmetics will be happy to provide maps to the ancient sites. One place of interest is the tiny church of The Five Virgins where ancient tombs can be found carved into the rock.